This is a repost from my other blog, first published on August 11, 2013. 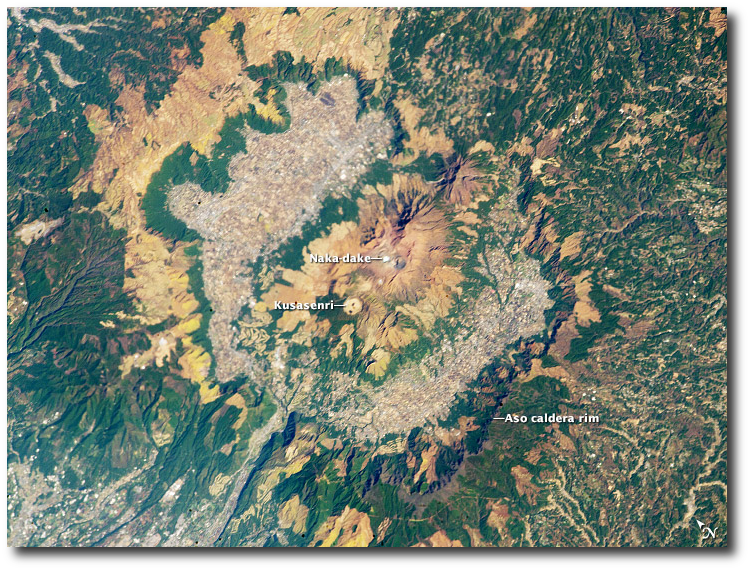 Since then, Aso has had some remarkable eruptions: check out the Global Volcanism Program link below for more details and images. Monitoring (note: only the Japanese-language website seems to be working right now). See also the Japan Meteorological Agency – despite the name, they watch for all natural hazards in Japan. Currently JMA has no warnings posted for Naka-dake, which does have frequent, small-scale eruptions and is quite a tourist draw. Webcam (in Japanese, but real-time images).